For over two decades, Landco has been living by its commitment to provide world-class developments that would give their residents a chance to experience luxury leisure living. For Landco, leisure is a necessity to balance—a prerequisite to living a meaningful life. Understanding the importance of leisure, Landco offers another reason why being a Landco homeowner has its premium perks. Upon full payment of purchasing a condo unit at Tribeca Private Residences project, buyers automatically become members of the Landco Privilege Club, which grants them in full exclusive access to Landco’s leisure projects. A first in the Philippines, the Landco Privilege Club is an exclusive club that lets property owners enjoy more than just their purchased property and the wonderful amenities that come with their chosen Landco development. Members will have the privilege of acquiring deluxe services and special access to the features, facilities, and amenities of Club-accredited Landco developments. They also get access to the amenities of Club-accredited third-party premium clubs and luxury hotels. Moreover, they are entitled to special discounts and privileges from Landco’s high-end partner establishments nationwide. A membership card will be given to all buyers of any unit at Landco’s Tribeca Private Residences, a low-density condo project situated in Sucat, Muntinlupa, along the South Luzon Expressway. 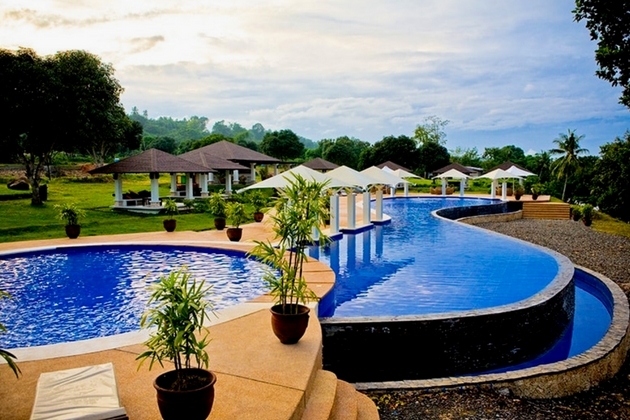 The future owners of Tribeca units will get to enjoy Landco’s luxury leisure development projects which include the Playa Laiya Beach Club in San Juan, Batangas; the Playa Azalea Aqua Park in Samal Island, Davao; Club Punta Fuego in Nasugbu, Batangas; and Playa Calatagan Beach Club and Aquaria in Calatagan, Batangas. Playa Laiya in San Juan, Batangas. Photo courtesy of Landco Pacific Corp. Situated in San Juan, Batangas, Playa Laiya is a 151-hectare residential and leisure–tourism estate that offers 1.5 kilometers of pristine white-sand beach, a world-class beach club, and top-notch dining options. 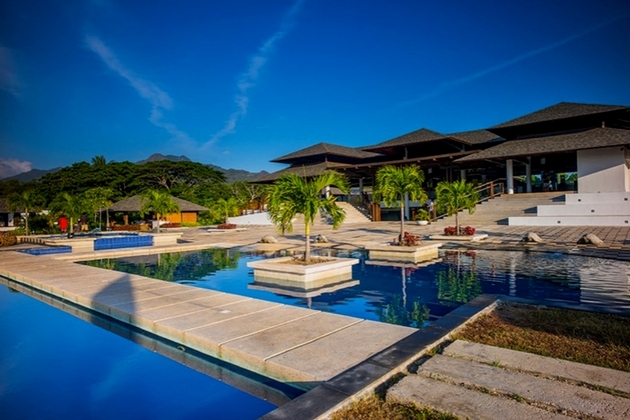 This community along the Laiya coastline also offers hotels/accommodations and meetings facilities, making it a perfect venue for leisure seekers and corporate events. Playa Azalea in Samal Island, Davao del Norte. Photo courtesy of Landco Pacific Corp.
Then there’s Playa Azalea situated in Samal Island, Davao del Norte. 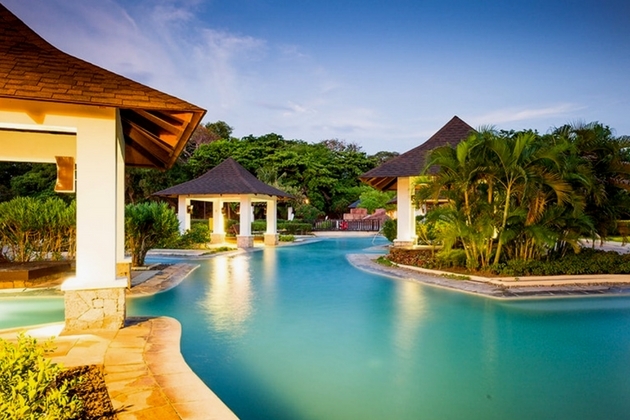 This 44-hectare luxury island resort community boasts of an Aqua Park with a river pool and an infinity pool, a 400-meter-long white-sand beach, a hilltop clubhouse, and a commercial/hotel complex. Playa Azalea also features a viewing deck that affords leisure seekers fantastic views of the surrounding Davao Gulf and Davao City. 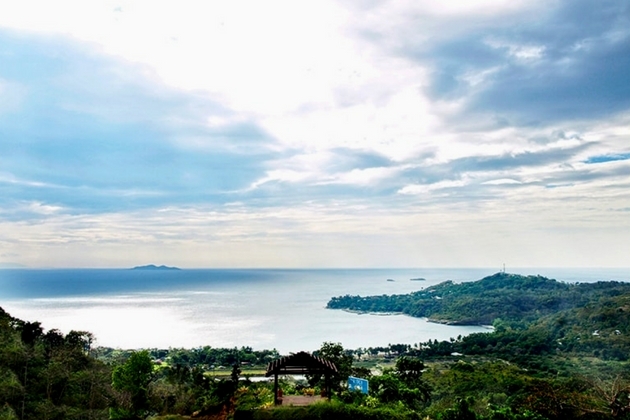 Punta Fuego in Nasugbu, Batangas. Photo courtesy of Landco Pacific Corp. Meanwhile, situated within the larger Punta Fuego estate in Nasugbu, Batangas, is Club Punta Fuego, a luxurious seaside membership club that boasts top-notch amenities, such as 33 Spanish-Mediterranean casitas, 16 suites, infinity pools, spa, yacht club and international full-service marina, and the nine-hole Nelson-Haworth-designed executive golf course. Members here will enjoy majestic views of the West Philippine Sea (South China Sea) and the gastronomic delights served at Café San Diego, Il Jardineto at the Lower Beach Club, Barracuda Bar, or the Members’ Lounge. Playa Calatagan in Calatagan, Batangas. Photo courtesy of Landco Pacific Corp.
Lastly, Playa Calatagan is a private and exclusive seaside resort community situated in Calatagan, Batangas. Launched in 2005, this 78-hectare community devotes 12 hectares to world-class resort amenities, including a beach club, river pool, and a water park named Aquaria—the latter features a three-story pool slide and will be built alongside high-end condo residences. Buyers of condo units at Tribeca Private Residences do not need to pay a membership fee. The privilege card and its annual renewal are also given free for all fully paid Landco’s property owners. However, the use of these privileges are by availability, so when planning to visit and enjoy Landco’s leisure communities, book your preferred date through the Landco Club Concierge. With all of the premium perks that come with your unit, this just proves that being a Landco owner will let you live the kind of lifestyle that you want, both in your chosen leisure Landco community and various Landco developments nationwide.